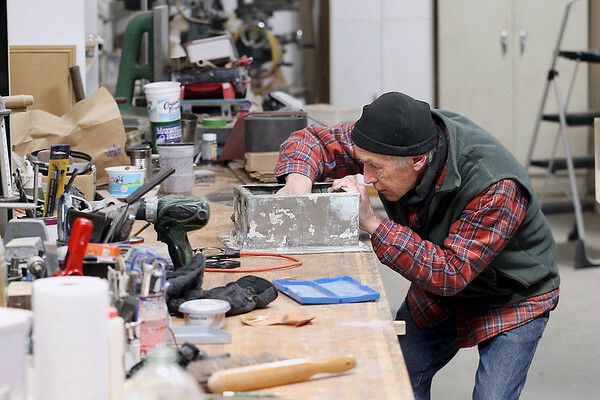 George Powell works on the instrument housing from a 1941 U.S. Coast Guard 36-foot lifeboat that was used in the upcoming Disney film, "The Finest Hours," at his boat restoration business Planksters in Suttons Bay. The film is about a daring Coast Guard small-boat rescue in 1952 off the coast off Cape Cod (Mass.) of over 30 men from a World War II-era oil-tanker that split in two in a winter storm.